LEAWOOD, KS (October 29, 2015) – It’s the annual battle of the bumpers versus the bucks, the does against the doors. Both parties lose when car and deer collide, but a measure of defensive driving can reduce the risks. A recent survey by State Farm found that U.S. drivers are just as likely to have a claim involving a collision with deer, elk or moose than they were last year. The odds drivers will have a claim from hitting one of those animals is 1 out of 169, the same as it was in 2014. An estimated 1.25 million claims happened in the past year resulting from these collisions. 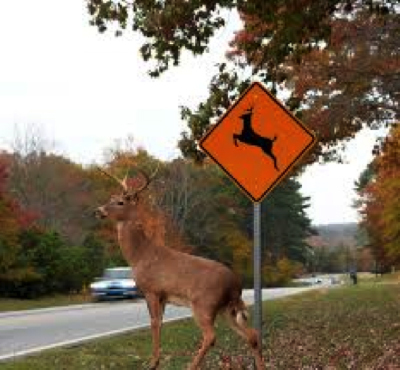 This year, some 1.5 million drivers will hit deer, and November is the peak month for deer-related accidents. But drivers can avoid an accident with a buck by following some smart driving tips this fall and winter. 7. If an accident with a deer does occur, it pays to be protected. Many drivers don’t realize that carrying only collision coverage does not cover damage from a deer accident, leaving them with a damaged vehicle and a large repair bill. To fully cover any potential damage, drivers should carry comprehensive insurance that covers such crashes. For those driving an older vehicle who feel their cars aren’t worth the cost of the insurance, it’s smart to keep an “accident fund” if something does occur. CARSTAR Auto Body Repair Experts offers high-quality, reliable repair service at more than 450 locations in 30 states and 10 Canadian provinces. Just call 1-800-CARSTAR when you need a vehicle repair, and they will send the tow truck, contact your insurance company, arrange for a rental car and repair your car. For more information and store locations, visit www.CARSTAR.com.